Chaos Storm #1109 has swept the Lok'Groton island chain. Please post any changes you have observed and wish to share with others in the comments. If you don't want to read possible spoilers, please do not read any further! A new star? Mafia boss? What could she be? Well, she has graced us in Town Center, with her entourage... er... bodyguards? I know Sir Abox and I are knights, so maybe it's all good! See the Rapper T. Ater Crete! Read all about it here: https://kvynn-clanlord.blogspot.com on my latest post to my fenrag. P.S. Wow, It's been a long while since I've updated my blog! And we chained out to town, no DOOM. But fun. I'm trying to make the Discord button and link work better and take you right to the Clan Lord Discord. Does it work better now? The Clan Lord Sentinel is back! Chaos Storm #1103 has swept the Lok'Groton island chain. Please post any changes you have observed and wish to share with others in the comments. If you don't want to read possible spoilers, please do not read any further! Connie keeps making newsworthy stuff! On a recent hunt we uh, broke Sikophit down to Det-MMS! Took some library help to get him fixed up. 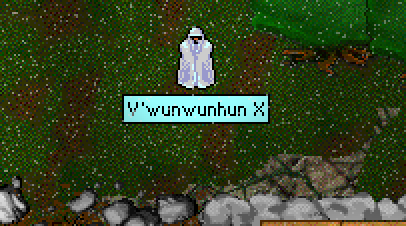 Mob hunt for V'wunwunhun X! Seems like he's been found! Carnival is out and.... pink shirts! Look! Tater-Crete! With v1100 came the V'wunwunhuns! Mostly in places where you would go with a hunting group - so far I through IX have been found, I put together a little collage of where they've been. Spoilers on that collage! I'll let folks either ask me directly (or the folks who know) in case some folks want to find them on their own. They give you their blessings, which amounts to free experience! Some are more than others! Chaos Storm #1100 has swept the Lok'Groton island chain. Please post any changes you have observed and wish to share with others in the comments. If you don't want to read possible spoilers, please do not read any further! Chaos Storm #1097 has swept the Lok'Groton island chain. Please post any changes you have observed and wish to share with others in the comments. If you don't want to read possible spoilers, please do not read any further! Chaos Storm #1094 has swept the Lok'Groton island chain. Please post any changes you have observed and wish to share with others in the comments. If you don't want to read possible spoilers, please do not read any further! 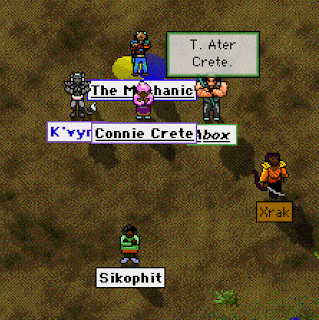 Chaos Storm #1091 has swept the Lok'Groton island chain. Please post any changes you have observed and wish to share with others in the comments. If you don't want to read possible spoilers, please do not read any further!